Recently, a woman named Tasha requested a blog post about some of the downsides of toucan ownership. 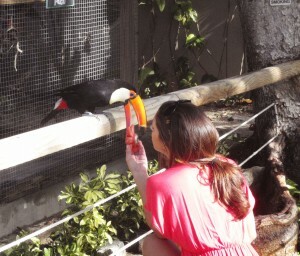 She is considering a toucan as a future pet and wants to be aware of every angle before she commits her family to one. I think this is commendable and a truly responsible approach. Too much of the time, I hear people declaring, “I want a toucan!” without knowing much of anything about toucans to begin with. While adorably charming creatures, there is so much more to living with a toucan besides the cute face and goofy personality. I feel that if I am going to blanket the internet with endearing toucan photos and videos, it is also my responsibility to share the full picture of what it really means to share your life with a toucan. Let me preface this by saying that I love my Three-Cans an indescribable amount and I wouldn’t trade them for anything, including to have my personal time back – the time I used to spend reading, with friends, and otherwise working towards my myriad of goals. My life with Paco, Paz, and Pepe is incredibly rewarding, but it does not come for free – the relationship I enjoy with them requires a tremendous effort on my part. 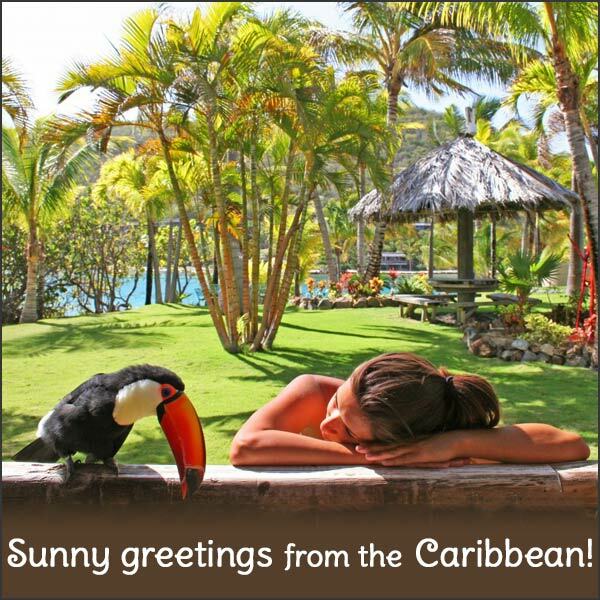 Toucans have daily needs that cannot be put off regardless of your schedule, your health, your mood, or the weather. They need a fresh bowl of fruit provided two times per day – a variety of fruits which must be chopped for them each morning. Toucans are also messy (see below) and need to be cleaned up after daily to maintain good hygiene. Toucans are very social birds who do not like to spend long stretches of time without interaction. I spend an average of 3-4 hours each day directly caring for Paco, Paz, & Pepe, sometimes more, depending on the day and situation. While I do have Three-Cans instead of one, it is important to understand that even one will require hours of your time each and every day. If you are someone who has a full-time job and is away from home 8+ hours per day, you will need assistance in caring for your toucan for the times you are away. Most often, when I say toucans are expensive, people think I am referring to the initial costs of purchasing one and that is certainly true. For example, if you’re looking for a Toco toucan baby akin to Paco, Paz, and Pepe, expect an estimated $10,000 investment. But the toucan costs I am referring to here are more about the ongoing expenses of having a toucan. Toucans need a constant supply of fresh fruit and cheaper cheats such as canned or frozen will not cut it. They tend to prefer the higher-priced, more exotic produce such as papaya, mango, and fresh berries. Toucans also need specially formulated, low-iron pellets which you may need to ship in, as they are not readily available everywhere. 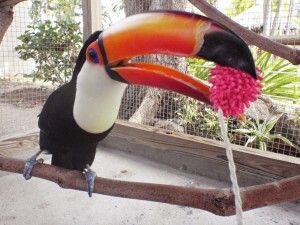 Toucans must also be provided with a variety of toys for mental stimulation and enrichment – this is NOT an option. Our last Drs Foster & Smith toy order we purchased for the Three-Cans was well over $400. Those toys should last us a couple of months before they are either destroyed or no longer interesting (toucans are smart, get bored easily, and will not be interested in a toy for long). Sure, you can try to be a bit more economical in making some of your own toys – which we do – but you will need supplies and thinking you can make toucans “budget-friendly” is an illusion. Whether you plan to house your toucan indoors or out, it will require a much larger enclosure than one designed for a comparably-sized parrot. Toucans are very high-energy birds who spend most of their day bouncing around. They need lots of perches and room to expend their energy. If you plan to allow your toucan out in your home, be prepared for it to demand full run of the house. A toucan will not sit on a foraging tree like a parrot and work at toy for any extended period of time. It will most likely not even sit in one spot for more than 10 minutes. Guess what? Toucans poop. A lot. They have an extremely fast metabolism and eat about every 15 minutes, which means they poop at roughly the same frequency. They also fling their fruit in the air when they eat – some of it makes it into their mouth, some of it doesn’t. My Three-Cans live in outdoor aviaries, so it’s relatively easy to hose their cages clean everyday. But what I know from speaking with others whose toucans reside indoors is that cleaning up poop and fruit goop is a constant battle. No matter where your toucan lives, be prepared to spend time cleaning up after them everyday. And remember – what goes in, comes out and their favorites – blueberries, raspberries, and blackberries – have staining power on the clothing and furniture you hold most dear. Toucans are much more hyper than parrots, and therefore, more difficult to hold their attention for training. Take it from me – I have a lot of patience and interest in the principles of animal training and it takes me much longer than I would have expected to get the results I am striving for. Toucans are very intelligent and have the capacity to learn, it’s their limited attention span that slows your progress. Dogs and cats have been domesticated for centuries and have been specifically bred to enhance their behavioral characteristics to make them more suitable as human companions. Toucans still possess a very wild spirit, often only a generation or two separation from their native counterparts. Some of their behavior will mystify you, some of it will baffle you, some of it may downright annoy you. Toucans, like all birds, spend springtime ensconced in hormonal, mating behaviors that are much more difficult to manage than say, a dog whining in the kitchen. There is no manual on toucan behavior. Prepare to approach each day with a scientific curiosity and patience, knowing that your toucan was not designed to live in your world. As I have already repeatedly mentioned, toucans require a lot of time and patience to care for on a daily basis. Not many people have what it takes to take on a toucan, even if it’s only for a week. Be prepared that the great majority of people you might hope to pet sit your toucan will either be too intimidated, not interested, not available, or otherwise unreliable. It takes a special niche of person capable of taking on the full responsibility of your toucan’s care in your absence, which is definitely not as simple as coming in to give fresh kibble once a day. Be prepared that it will be extremely difficult to find someone up for the job and available when you need them. If you travel a lot or take extended holidays away from home, a toucan is probably not for you. I have very few “animal people” as friends. They still have their many positive qualities, but wanting to run their own personal zoo as I do is not one of them. Toucans are not like having a dog, yet all of your friends will compare your experience to that, as that is all many of them have experienced firsthand. 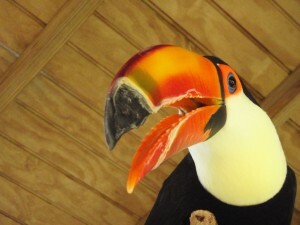 Because a toucan is not a dog, the care and time you spend with your toucan may seem “crazy” or “obsessive” to others. Your friends will not understand why you have to be home at highly-specific times to care for your toucan, nor will they understand why you are devoting so much of your life to a bird. Be prepared to get kick-back when you have to bow out of activities and spontaneous weekend getaways because you have to take care of your toucan. If the thought of losing most of your spontaneity and missing out on extended happy hours with your closest pals because you have to spend time with your bird bums you out, then a toucan is probably not for you. Your toucan’s needs must be made a priority and often times, that requires sacrifices on your part that most others cannot relate to. Perhaps this is just a “me” thing, but I feel guilty on a pretty consistent basis about the life my toucans lead. Sure, they’re adult birds that we adopted and we’re working hard to provide a much better life for them than they have ever received in the past, but…it never seems to feel good enough. I consistently wish I could provide them with more freedom, more space, more attention, more toys, more interesting activities…the list will always go on. The upside is that this feeling is a constant motivator to keep trying harder to make things “more perfect” but the downside is that they still have such a wild spirit and will never be able to live the life they were made for – flying free in their natural habitat. If you’re like me, looking at your bird in captivity will always make you feel conflicted and guilty and this is just a feeling you will have to learn to live with. There is still so much we humans do not fully understand about toucans from ideal nutrition and care, to how to protect against their silent killer – Hemochromatosis, the iron storage disease they are highly susceptible to. There are so few resources on toucans and because of this, they are even more difficult to care for than a parrot. Even some of the best avian veterinary specialists out there do not have any experience with toucans and are often forced to base their medical decisions and advice on their experience with other birds. You will always try your best to provide the optimum care possible with the information available to you, but if you’re like me, you will always worry that we’re all doing it wrong. Toucans live an average of 20-25 years. If you decide to adopt a toucan, consider the above challenges as they apply to your life not just now, but for the next two decades. No matter where you move in the future, you will need to ensure you have enough space for your toucan’s appropriately-sized enclosure. You will have to budget for your toucan’s food, toys, and veterinary care for the duration of his life. Your life may change unexpectedly and you certainly cannot predict every bump along the road, but your commitment to your toucan must remain at the forefront for his lifetime. As with most aspects of life, everything with toucans is a trade-off. What you put into them, you will get back. The benefits of toucan ownership are great, so long as you are willing to provide the care and commitment they require. Keep in mind that there are many types of toucans and some of the above may not necessarily apply to all species. If you’re considering a toucan, I urge you to look beyond the color scheme and do your research to determine which, if any, toucan will realistically suit your lifestyle. This entry was posted in General Info and tagged Adventures in Toucanland, bird, birds, BVI, Caribbean birds, exotic birds, exotic pets, island, Paco, Paz, Pepe, pet, pet bird, pet birds, pets, Saba Rock, Toco, Toco Toucan, Tocos, Toucan, toucan challenges, toucan ownership, toucanland, toucans, toucans as pets, tropical birds, tucan, tucans by Toucan Lady. Bookmark the permalink. See, everybody should do like Tasha did right from the start. Once she realized she wanted a toucan, she put her emotions aside for a moment and got her homework done! Kudos for her and even more kudos to Chrissann https://www.instagram.com/womanonarock/ for taking the time to explain in such details what being a toucan owner entails. It shows you reaaaally care about those colorful creatures! And for that: thank you! Toucans need a proper aviary – they cannot live solely loose in a house.